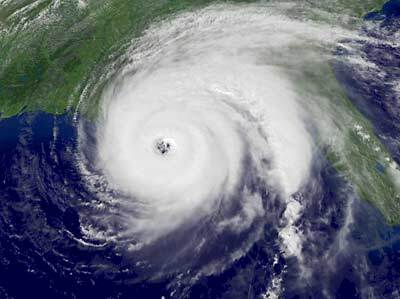 Hurricane season is upon us on the east coast of the USA. Every day we watch tropical storms forming in the Caribbean and track their projected path, constantly looking at weather updates to see if they will wreak havoc with our weekend or vacation plans, work commutes, business travel schedules, or require boarding up our houses, taking in the outdoor furniture, or evacuating the coastal areas. We stock up on water, flashlights, batteries, candles, matches, and canned or dried food in case of power outages and food shortages. There is no lack of advice on how to prepare for a hurricane or tropical storm at this time of year. So you may want to just ignore the rest of what I have to say. Or not. Several years ago, during a local power failure resulting from a severe tropical storm, everything in our freezer began to defrost (so we had a huge barbecue). It dawned on me that the same thing would be happening everywhere in our town. Most notably, all the ice cream would be melting. So I jumped in the car and drove to the nearest ice cream store and, sure enough, they were beginning to throw out all of their mushy ice cream. They were more than happy to let me help myself to as much as I could eat. For free. So my advice to you is this: forget about the canned peas, the defrosting hot dogs can wait, but as soon as the power goes out, pack up the family and head to your local ice cream store before it all melts. (See also Ice Cream (Gelato)). This entry was posted in Food, Humor, Ruminations and tagged Barbeque, Food, Humor, Hurricanes, Ice Cream, Musings, Power Failure, Tropical Storms. Bookmark the permalink. Remember when we had to go get matches? Because despite the fact that, as you say, ‘We stock up on water, flashlights, batteries, candles, matches, and canned or dried food in case of power outages and food shortages,’ none of our flashlights had batteries, and there were no matches in the house.